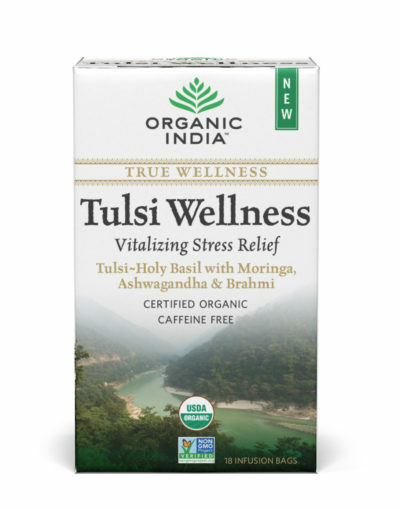 ORGANIC INDIA was formed in the 1990’s by a small group of people from around the world who met in Lucknow, a town in northern India. They had travelled to meet H.W.L. Poonja, the spiritual teacher fondly known as “Papaji.” Drawn by the search for truth and self-realisation, they came to hear Papaji’s simple teachings. This idea became a movement as organic and biodynamic farming methods were developed and practised. Our founder’s mission to offer safe effective herbal products to the world is the driving force behind an organic revolution that started with ORGANIC INDIA and is now taking root all across India. To be a trustworthy and innovative global leader in providing genuine organic products and solutions for conscious, healthy living. To deliver exceptional quality True Wellness organic foods and products to our consumers. To introduce a unique and successful business modality that is committed to service, sanctity and integrity and therefore harms no one and benefits all. To support natural sustainable organic agriculture practices that serve, honour and protect Mother Nature. To support the livelihood and well-being of farmers and tribal wildcrafters in rural India. ORGANIC INDIA™ means absolute commitment to quality. All our products are organic, pure and natural, because you want the best for your family and so do we. The guiding principles of our company are health and happiness for all beings and great respect for the Divine Mystery of Mother Nature who selflessly sustains humanity and naturally provides us all with a bounty of nourishing foods and healing herbs. All of our farmers and tribal wildcrafters are educated in organic and biodynamic agricultural practices. We pay all the fees associated with acquiring the necessary organic certifications for them, and then we purchase the harvested crops and herbs at a premium market price. The farmers also rotate between growing crops on their land for ORGANIC INDIA with food crops for themselves. This means farming families are supported by a sustainable income, while at the same time improving and preserving their own health and natural environment. To learn more about our unique business model click here. We are passionate about raising the standards within the organic industry by our own example. Learn more about the certification that we carry. Join thousands of Australians getting inspired monthly. Plus the latest info, special offers & more.